Please join us on Tuesday, February 26, 2019 at 10:00 am for our Open House/Tour to learn about our program. The snow date will be Tuesday, March 6, 2019 at 10:00 am. You can also join us on Tuesday, March 5, 2019 at 5:30 pm for an additional Open House/Tour. ​ Hope to see you there!! 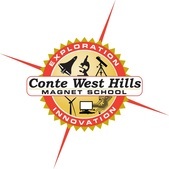 Conte West Hills Magnet Theme of Exploration and Innovation is the catalyst for the social studies and science initiatives and case studies for each grade level. Using the Expeditionary Learning Model, each grade selects two major thematic units that are designed to challenge students to think critically and develop our student’s curiosity and creativity. The Expeditionary Learning Model provides positive character education through a school-wide class called CREW. All students and staff participate in a daily CREW session which explores the importance of character and its impact on our roles as citizens in our school and community. The purpose of CREW is to foster a community of learning, engage students, and nurture a culture of achievement. Community Meetings are a structure that helps to build a sense of pride, success and celebration in both academics and character. It is an opportunity to get to know one another by sharing student success and learning in a large group setting. 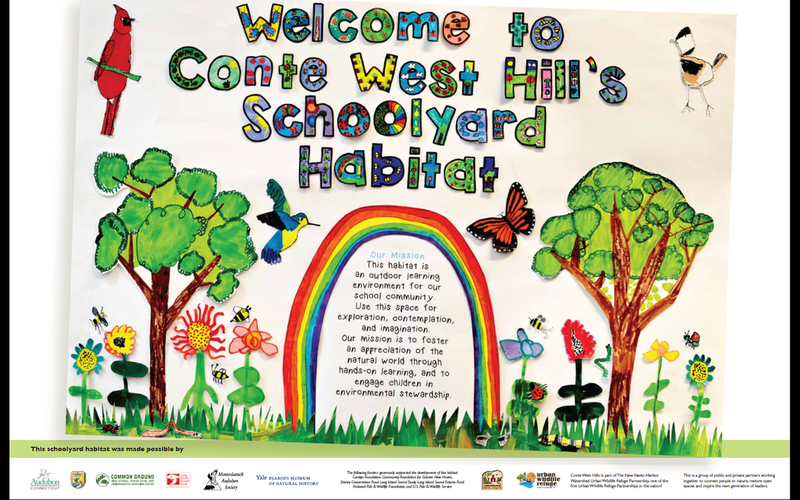 At Conte, every grade level holds one Community Meeting per quarter .